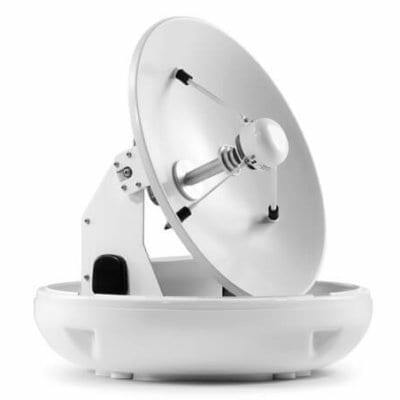 Aqua Motorhome 4G Wifi GPS MIMO Antenna contains five separate antennas, all in one compact antenna housing: two LTE 4G 700 MHz & Cellular antennas, two dual-band WiFi antennas, and one GPS antenna. Easy installation and IP67 rated design that confirms to Industrial and Military specification. 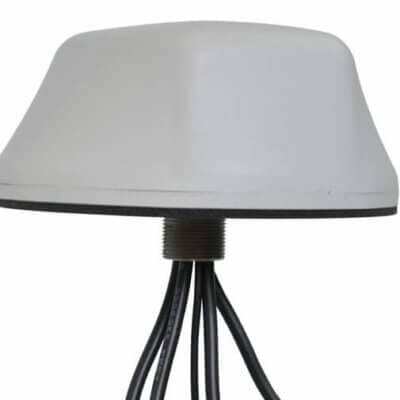 Use the antenna on your Yacht, Powerboat, Canal Boat, Caravan, Horse box, Motor Home and many more applications. The Antenna can be deck, roof, pole or bracket mounted and includes 4.5m cable tails with SMA plugs ready to connect to your equipment. Easy installation and IP67 rated design that confirms to Industrial and Military specification. 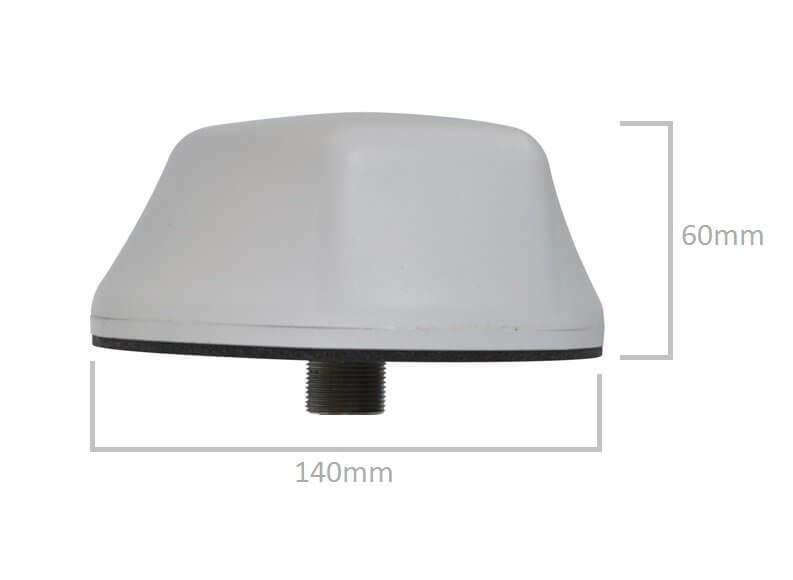 Use the antenna on your Yacht, Powerboat, Canal Boat, Caravan, Horse box, Motor Home, Farm Outbuilding and many more applications. 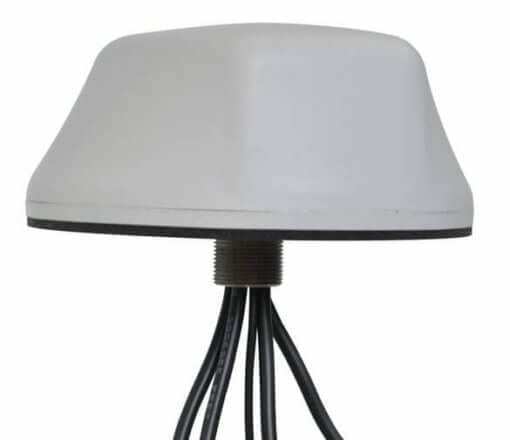 The Antenna can be deck, roof, pole or bracket mounted and includes 4.5m cable tails with SMA plugs ready to connect to your equipment. MIMO (multiple-input-multiple-output) modems offer greater speed and capacity than earlier generations of modems. They achieve this by sending RF signals on multiple antenna elements to maximize the amount of information transmitted and received. This new MIMO technology is used in several frequency bands, initially for 802.11n WiFi bands and more recently for LTE in the 700 MHz band. 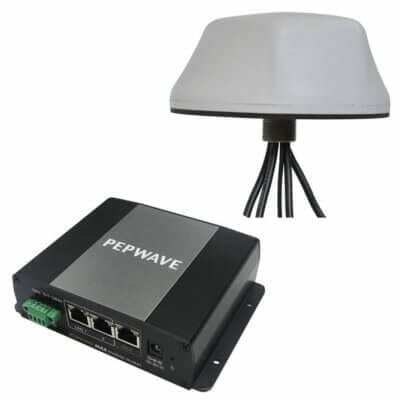 To ensure optimum performance, the systems need multiple antennas on both the transmission and receive ends. 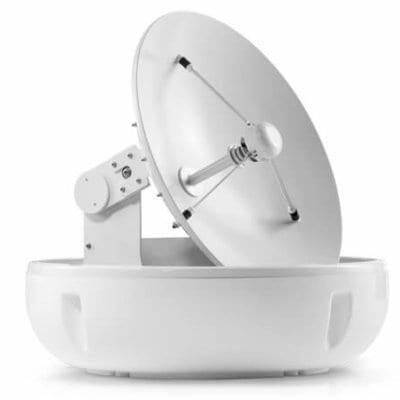 Measuring 140mm in diameter with a low profile of 60.4mm the Aqua Marine MIMO Antenna takes up significantly less space than multiple antennas and cut down on installation time and costs by offering a single mounting hole.